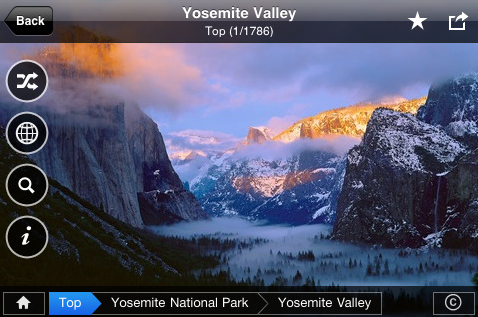 Understanding the concept behind America's National Parks system is part of the social studies curriculum and standards, yet I have found that many students reach middle school without being able to "get" the idea and how these parks are different than the baseball diamond behind the parking lot. Fotopedia National Parks is an iPod/iPad (gorgeous especially on the latter) that allows students to explore our national parks via an interactive map and 3,000 photographs with written descriptions. It is usually $4.99 but currently free on the US iTunes store. Grab it while you can- it's a great way to add visual support to this abstract curriculum area and perhaps to work on reading comprehension, descriptive and writing skills. I think serious questions must be raised though about how to identify, assess, implement, and evaluate whether these technologies meet students' needs. The conversations about how to then examine the highlighted resources in light of important contextual factors at their placement are limited. I think that what this commenter says is certainly true, and that my making this exact kind of disclaimer is long overdue. We are clinicians and professionals after all, and operate in an climate where Evidence Based Practice (EBP) is rightfully emphasized. That said, the purpose of this blog is not to zone in on EBP; the resources presented here simply provide a context in which it can occur. The assessment of whether the technological resources presented here meet your students' individual needs? I am going to leave that up to you! Here's one point I think the commenter misses, which perhaps I have not made clear up to this time (but, to be honest, I think I have): much of what is presented here is reviews of tech activities that can be used as the centerpiece of a session, around which you can build all the language stimulation, scaffolding and assessment that you do so well, and it is really those procedures that should be evaluated. I am not going to be engaging in depth about examining a particular, focused interactive website and whether it really meets students' needs because the technology is not really the point. The activities are just a hook for our children, and it's what you do before, during and after their use (as well as the assessment that only you can do, since I don't know your students) that qualifies them as therapy (and EBP). I think to hold me responsible for extensively evaluating, say, the effect of the Simple Machines activity would be akin to insisting on the extensive evaluation of one storybook, board game, recipe or craft activity versus another. Of course these procedures should be assessed, but we perhaps don't need to do double-blind studies on them. All that said, for an example of how many of the resources presented here could be "sandwiched" in EBP bread, check out the Writing Next meta-analysis. It's an interesting read and it discusses the efficacy of nine language-based strategies to develop written language (and with the oral connection to writing, we all can see the connection to our work). Specifically, for example, instruction around sentence combining could be a post-activity to presentation of a BrainPop movie- simply compose a series of simple sentences about the topic and get ready to have your kids combine 'em! I truly don't mean for this to sound defensive- I've seen clinical blogs that provide disclaimers and have been thinking- it's time for mine! The Academy Awards will take place on February 27. Turner Classic Movies' 31 Days of Oscar website (featured on the Favourite Website Awards list) is an interesting resource to explore with a group of upper elementary, teens or adults. The site is meant to draw viewers to the broadcast schedule, but there's plenty to do on the site itself. Text descriptions and video clips accompany each movie in the schedule (sometimes a clip, sometimes a trailer), and movies are all organized into interesting categories, such as "It Takes Two," all films about duos, etc. These categorizations, along with the text pieces and clips, provide a good context to explore summarizing, text structure and inferential skills, as students will not have seen the films and can try to infer what they are about! Thanks, Moms with Apps and App Friday- Peekaboo Wild is an adorable animated app you can use to explore the category of wild animals, their sounds, verbs associated with the animations, and printed names of the animals, as well as cause-effect. Peekaboo Wild is normally $1.99 (like its siblings Peekaboo Forest and Barn) but is $.99 today on the iTunes App Store. Our social studies curriculum includes the importance of Washington DC and its memorials and monuments, a topic also relevant to next week's President's Day holiday. 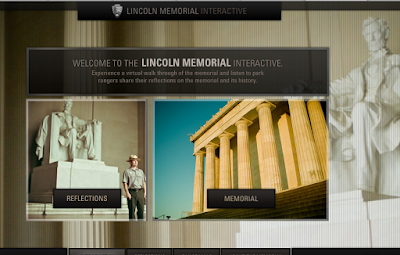 The National Parks Service has a beautiful interactive site exploring the Lincoln Memorial. Students can take an interactive 360º tour of the memorial, navigating its attractions and reading about their importance. There is also a series of short films in which a number of Park Rangers describe why the Memorial is important to them. Overall, the site is a good context to explore information and use strategies to break it down, including key word generation and/or use of graphic organizers. 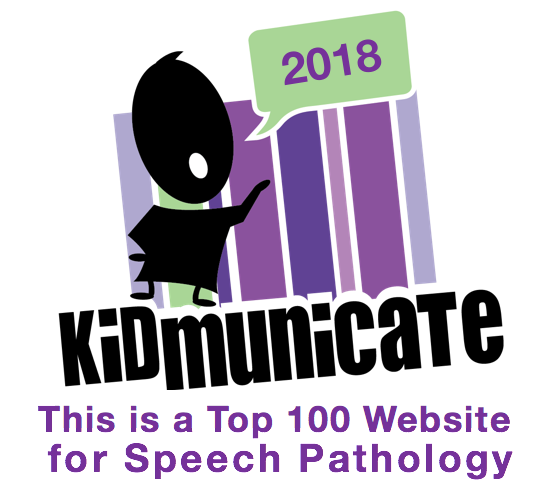 The Online Education Database website recently compiled a list of the "20 Best Speech Therapy Blogs" and gave SpeechTechie a nice mention there. Thanks, guys! Please click on over and check out the others on their list, as well as some of their other resources, such as their "100 Best Teacher Blogs"
Also please check out my post on the Mindwing Concepts blog about Valentine's Day and the narrative element of Feelings! There's a screencast there on using PowerPoint as a desktop publishing tool to make simple (and language-enhancing) Valentine's, as well as an overview of an online poetry generator. Happy Valentine's Day! Disclosure: author contracts with Mindwing Concepts Inc. for blog content. 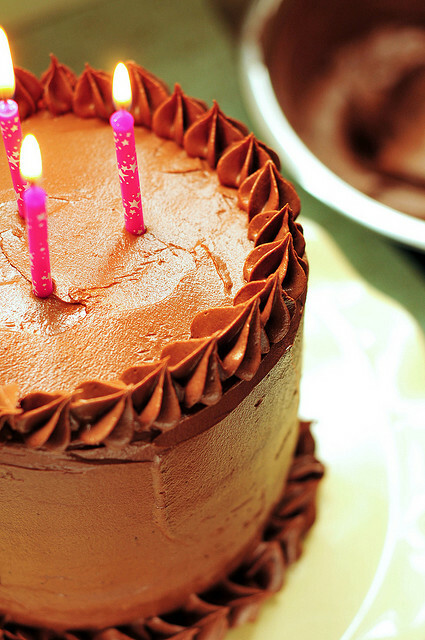 I accidentally back-posted this to 1/3/10 some time ago- this blog didn't even exist then! Anyway, I lost track of it, and it would be a good resource to explore around President's Day, as well as aligning with curriculum around Social Studies and the Revolutionary War. George Washington's World for Kids gives you an interactive glimpse into colonial days and the landmark of Mount Vernon. Although I found two of the activities at this site, Harpsichord Hero (clever take off on Guitar Hero) and Bombarding Yorktown to be quite frustrating and unwinnable, the Washington's Treasures activity would make a great task for any student studying early US history or geography. 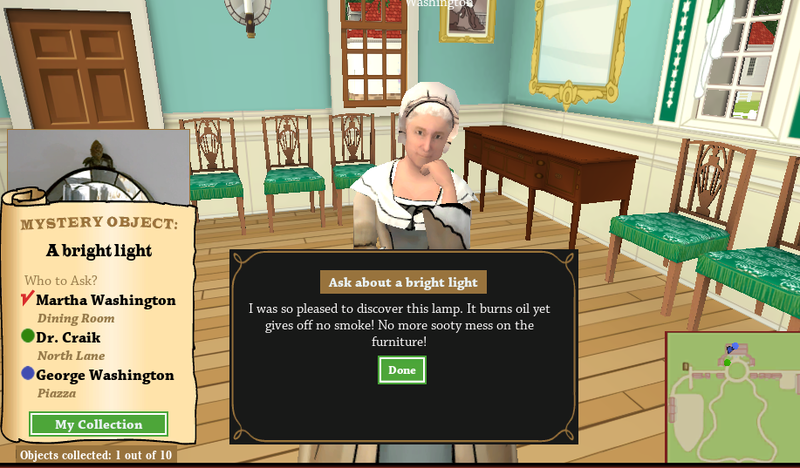 Players are tasked to find several items by obtaining clues from people on the estate. Obtaining clues, understanding main ideas and inferential details are all skills tapped by the Treasures activity. Students also will practice spatial concepts as they navigate the estate using a map. As I ramble on and on here about technology resources that you can use in your therapy, I need to disclose that there is a price we pay for technology integration, especially and paradoxically when it is free. First of all, your therapy materials on your shelves are always there, reminding you that you can use them anytime. Games, books and toys are in that way easier to incorporate in your therapies. Something like Linguisystems' Category Card Games (one of my go-tos by the way) doesn't take much planning to utilize in those oh-yeah-I-have-to-see-him sessions, and you know it will benefit the student. The resources we discuss here take a lot more planning (What are the targets? What are the pre- and post- activities? How do I take data?) and organization to build into your sessions. This is one reason I am a strong advocate for using social bookmarking and resource organization tools such as diigo, which allow you to tag sites in multiple categories such as sentenceformulation, science, grade2, so you can find things later by looking for them in any of these categories. I say all of this just so you know that I don't think tech integration is always easy. We see the benefit, though, in our engagement of difficult-to-engage students, the multisensory nature of technology, and the easy access to curriculum-related interactives that would be difficult to create in other ways. So now to the second part of my caveat. 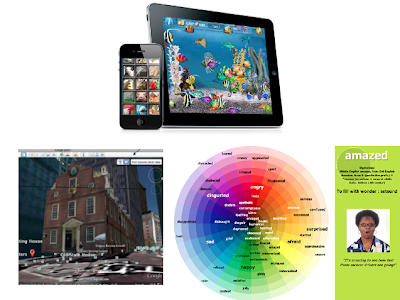 Sometimes these resources go away, or change in ways that make them less usable, or unusable. Maybe your computer will age so that you are one undoable update removed from being able to use a resource. Unless your office burns or floods, God forbid, the same is not going to happen to your board games. I say all this now because I occasionally find that some of my favorite sites return me a 404 Not Found error, and then of course there is delicious, of the uncertain future. You can't back up an interactive site you love, but you can back up your bookmarks, for example, and if you use a site that allows you to download or export your creations freely, well then you always should! Just putting all that out there. Have you experienced any technological mourning recently? Let us know in the comments. I found this resource on Karen Ogen's awesome blog, InTec Insights. Thanks, Karen! Be sure to visit her blog for more Valentine's ideas. Games such as the classic Lemonade Stand involve a lot of language and executive functioning: planning, ability to modify a plan, etc. My Money Valentine is a version of this game, but involves running a Valentine-themed store, where you sell candy, cards, teddy bears, etc. Students will need to purchase inventory and set prices while working according to a budget. 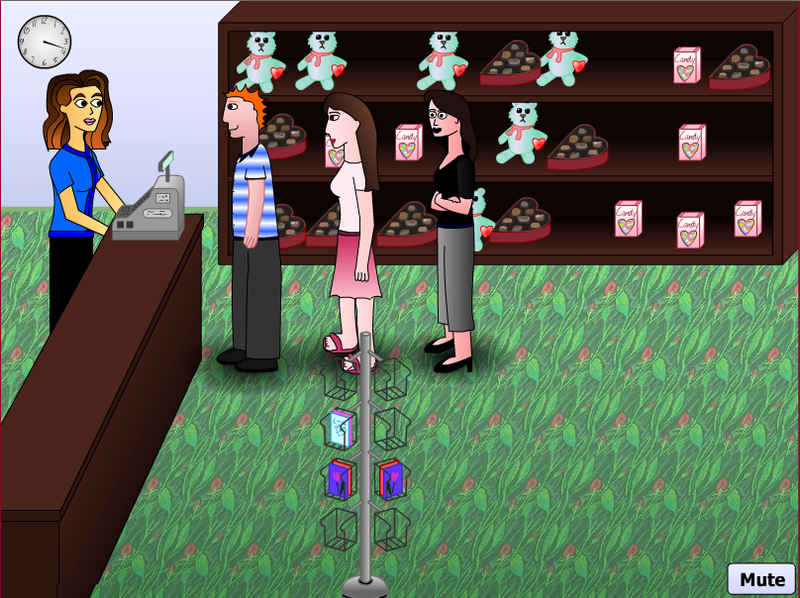 Customers give feedback and you may need to adjust some aspects of the store. One warning I would definitely give students is that you should not fire your staff and hire more expensive staff unless you are definitely sure you can afford it! 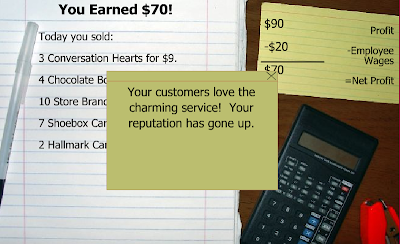 The game ends instantly if you have a day when you incur debt. There does not appear to be a way to save your game and return, so it's more of a one-offer (and encourage kids to try at home). 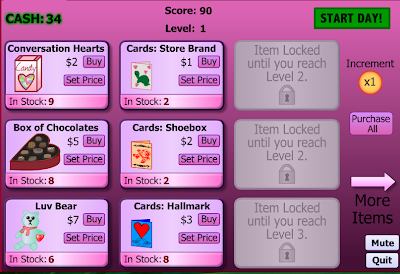 This site is a great way to explore categories (brainstorm Valentine's gifts before using the site), cause-effect, and curriculum concepts related to economics. Even elementary students are supposed to understand concepts such as debt, goods/services, wages, and profit. The site would also be a good opportunity to use a graphic organizer or table to track profits, etc and develop organizational strategies. I recently received a great email from Jen, a reader, that can serve as a post all on its own. I asked her if it was OK for me to post it as such, and she said yes, so here it is! I'm a new follower of your blog (on Facebook too!) 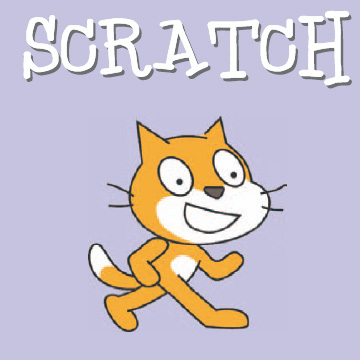 and I thought I'd send you a quick e-mail about a neat use for Scratch (which you probably already know about - from the MIT Media Lab - a programming language for kids that allows them to make interactive projects). I'm an SLP at a public middle school in Massachusetts. I have a young man on my caseload who presents with characteristics of both Asperger's and Oppositional Defiant Disorder. As you probably know or can imagine, it's very difficult to motivate a kid like this to participate in Social Thinking™ (love MGW) programming. He absolutely hates it. I have been able to get the concepts of expected/unexpected behaviors, red/weird thoughts, and calm/blue thoughts (among other concepts) into him. I was getting stuck when it came to finding an appropriate activity that we could do together that would: 1) motivate him to work with me and 2) offer me ample opportunities to give him feedback on his expected/unexpected behaviors. Then I discovered Scratch! It's been a life saver because he's a smart kid, he loves creating projects, he did a little bit of the Scratch programming in his 6th grade computer class, and was excited to see the program again. Scratch itself requires lots of problem solving and critical thinking (which is great) but the process of the two of us creating a Scratch project together requires a lot of social negotations and perspective-taking. For example, how long does he get to have control of the mouse or what is an "expected" animation for him to make in school with me (especially when I've verbalized that I feel uncomfortable when he makes the Scratch cat bleed - oh yes, working with him is a challenge!) There are so many opportunities for him to think about what I'm thinking/feeling in those situations and modify his behavior/choices (with my feedback) to keep me thinking about him what he wants me to be thinking about him. It's true that no matter what we're doing, there are social thinking opportunities but we have to be doing SOMETHING (i.e. he has to be participating/talking to me) in order to accomplish anything and Scratch has proven to be very motivating for him. Scratch is an accessible programming language that works a lot like building with LEGOs! Drag different types of commands over and modify their details in order to make a "Sprite" (like the cat) move on a "Stage. " This student isn't ready for a social group yet but he's getting there. When he's ready, I can totally see a small group of boys (2 or 3) making a Scratch project together (with me) and having to negotiate who's doing what, how they ask for a turn, how they give input to each other, etc. This even simulates a work environment that they may encounter later. I can totally see some of these kids going into technology-related fields where they'll inevitably need to work with other people at times. So anyway, I just thought I'd share this unconventional but super helpful use of Scratch. p.s. The King's Speech was AWESOME. Jen is correct to state that this is an "unconventional" use of Scratch, but that's what we are all about here! Resources not designed for speech and language therapy can provide a great context; like Jen did, it's YOU that makes it therapy. Some kids are, as she said, already so therapized or averse to "pragmaticsy" (I have actually had clients who used that word to me, with distaste) instruction that even excellent curricula like MGW's are not going to fly if presented as direct lessons. Instead, we have to sneak these concepts in through other, more naturalistic contexts. 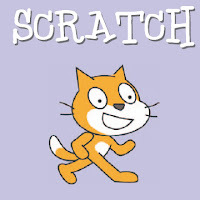 Jen is also absolutely right that Scratch is considered a good preparation for later work in programming, to which many of our students are very well-suited. This post is really meant to whet your appetite about Scratch, as there's quite a lot to it, and I'd like to revisit it later. It's easy enough to get started, though! You will first need to download the program, then, in addition to viewing the intro video below, I'd recommend the Scratch Video Tutorials and Scratch Cards, which are quick ways to learn how to program in Scratch and can serve as lesson plans in following directions! Please check out some posts that recently got published elsewhere! On the Mindwing blog, just in time for Valentine's Day, some ideas for teaching kids about the "Six Universal Feelings" as story elements and expanding feelings vocabulary. Heidi at Mommy Speech Therapy sure knows how to make beautiful graphics, and was kind enough to ask me to write a post about Virtual Pet Therapy- animal-themed mobile apps for language development. Over at ADVANCE, new features in Google Earth 6 make Street View and 3D Buildings even easier to access, and some lesson ideas to get you started.